"Dr. Valter Longo is one of the world’s leading researchers on longevity, and in this book he’s done an exemplary job of consolidating the most current strategies into easy to understand principles. In particular, his research on fasting is one of the most fascinating new strategies to improve health and longevity." "There is an ever-increasing recognition that diet plays a critical role in lifespan and healthspan. Valter Longo is a pioneer in advancing research in this field. 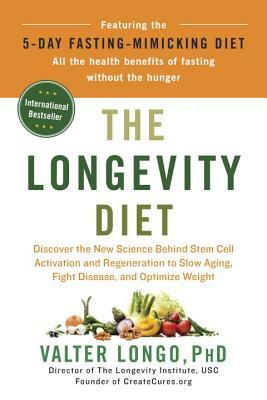 In the Longevity Diet he translates his laboratory expertise into user-friendly tips and tools for improving how we eat, how we age, and how we live."